Right now one of the strongest methods in SEO is content marketing. It can help you expand your brand’s reputation and build traffic if you do it right. That’s why there are tons of articles out there telling you what to do. Of course, even if you’re doing everything right except one important issue, your content marketing plan may still be doomed. To help make sure that nothing is holding you back, Sujan Patel has a list of seven ways you can mess up your content marketing plan. It is a lot of work to make sure you’re doing every step of your plan correctly, but just neglecting one area can lead to a lot of issues. Any time you are trying to launch a site on a new platform, there are tons of things and details to keep track of. 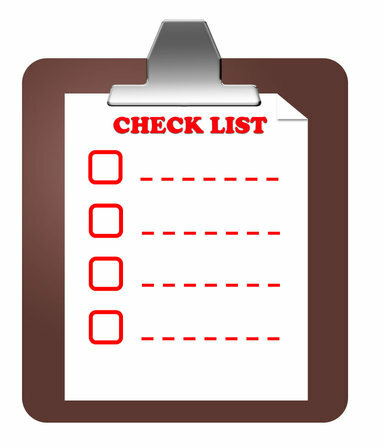 Thankfully, the folks at SaleAMP have a great website migration checklist (PDF) to help you keep track of everything. I found it thanks to Smileycat Blog. There are plenty of these out on the net, and the best checklist is one you’ve made by yourself by going through the process multiple times. But, this is a great place to start until you’ve got your own list made up. Creating quality content is always important, but if your website is poorly optimized it will still struggle to achieve visibility. One of the biggest issues when trying to optimize pages is having so much “design” on their page that they have very little room for text, or content. With so much physical page structure taking up the viewing area, the page only allows room for a few hundred words of real value. Justin Arnold from The Mightier Pen has two simple ways to work around this issue however. Use a ‘Read More’ Feature – This involves a little extra work, because to do this effectively you have to begin writing short ‘teasers’ for every article, which has a ‘read more’ link underneath. However, rather than linking to a different page, a special DIV tag can be used to have the text on the original page, but hidden until the user clicks for more. This ensures the search engines still see all of your text, while users still get a sleek and efficient page. Use a Scrolling Frame to Include More Text – Frames are often disparaged due to some rumor that Google can’t read content in frames. This is nothing more than a silly rumor, and frames allow you to get all of that text on the page. These two tips will help you keep the design you began with while offering a better experience for users and better results in the search rankings. One of the biggest priorities for designers is creating and maintaining a client base. Without one, the designer is out of work. Unfortunately, even after months of work with a client, you can lose them with just a single, simple mistake. Alexa D’Agostino has a list of 15 mistakes you can make that will lose you clients. Most of the mistakes seem like common knowledge, but they are also mistakes we all still make. From not responding fast enough to having a messy office, these small issues are enough to drive you out of business. To perform well in online marketing, you have to use Google. AdWords is far and away the best option available and you’re handicapping your efforts if you’re not using it. Unfortunately, Google understands this fact also. This means that as more and more advertisers rely on AdWords, Google can bleed more and more money from their budgets. Joel Chudleigh has an in-depth look at the various ways Google encourages you to spend more for online advertising at Business2Community, but I’ll give you a quick synopsis. Basically, Google has been able to develop innovative new ways for your ad to get noticed and ways for you to track how well your campaigns are performing, but has included in this innovations an urging to spend more to get more. This is not an indictment of Google, but rather a statement of fact. Of course Google will readily show you click-through and conversion rates of ads that display at the top of search results as compared to your ads because they want you to bid up to capture those top spots. That’s just one example of AdWords’ service subtly prompting you to feed more into your ad budget. Google has cleverly created a competitive landscape for advertisers where the highest bid receives the most views and clicks. For advertisers, there’s no choice but to play along. Many local businesses want a quick and easy way to boost their local rankings. The bad news is, there isn’t really a shortcut anyone can take to better local SEO. There isn’t any way to just make a one time change and suddenly be rocking the rankings. The good news is, there is a simple method to improving rankings, it just requires consistent output of quality content or promotional activities. This usually equates to blogging, which takes consistent effort, but is highly rewarding. Chris Silver Smith lists all of the reasons why starting to blog can seriously help local businesses at Search Engine Land. Does Color Affect Your SEO? Do you understand how color affects your website content? 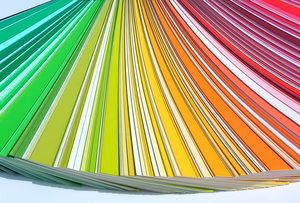 Do you know color can affect how your site is interpreted by commercial search engines? Most people don’t. Normally, for designers, color selection comes down to aesthetic preference or corporate color palatte. What they don’t realize is color selection can have a negative effect on your conversions if it isn’t well planned. Shari Thurow examines the link between SEO and color selection in her article at Search Engine Land. Beyond impacting the usability of your site, color selection can cause different cultural understandings of your site. More frightening for the developers out there, improper color usage can even be considered search engine spam. Make sure you think before you paint your site the wrong colors. TMO https://www.tulsamarketingonline.com/wp-content/uploads/2018/07/TMO-Logo.png TMO2012-11-27 11:00:012012-11-27 11:00:01Does Color Affect Your SEO? Here’s an interesting story coming out of Latin America. Municipal governments are making themselves more transparent and more accessible to citizens thanks to social media. In Luis Moreno’s article in The Atlantic, he describes the landscape in Mexico City, where the city’s mayor has made a considerable effort to respond to complaints by his constituents on Twitter. In fact, social media is being utilized in similar fashion all over Latin America’s burdgeoning cities with the most economic growth. For politicians, there is an inherent risk in being able to hear citizens’ complaints but being unable or unwilling to act, but there is also a reward to reap for fixing a reported problem. For those citizens, they experience a new way to participate in government and help their community. You can never stop learning when it comes to online marketing. Google’s Display Network is constantly being updated and you have to stay current in order to best utilize the tools at your disposal. To help you do just that, check out Matt Van Wagner’s column at SearchEngineLand. He’s got the rundown of the latest updates and how they can help you. On Twitter, the use of hashtags has seemingly evolved from a good way to group content of a similar category together, to a messy way to group content or a good way to make a joke. Either way, that’s probably not how hashtags were intended. Katie Rose, of Business2Community, seems to take particular offense to this “hashtag abuse”. There can be some value in using hashtags more properly, however. The best nugget I gleaned from the above article is that, if you want your audience to congregate together, show them the way. Whether from your site, a YouTube video or even from your physical business place, suggest a hashtag for users to use when talking about you and your business. Otherwise, you never know all the various combinations people will create for essentially the same thing. This makes it much easier for users to use hashtags, rather than Twitter’s search function.